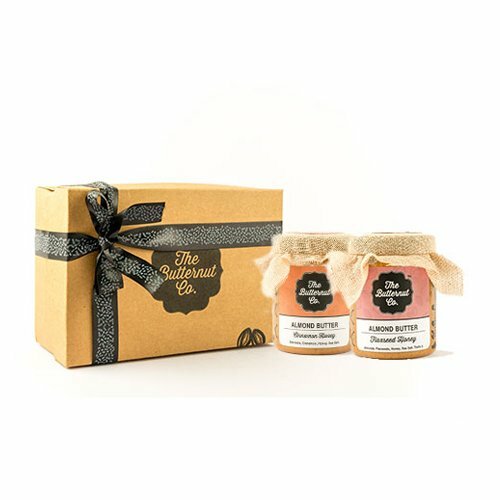 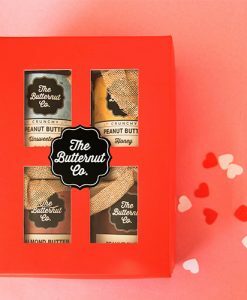 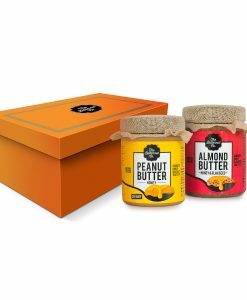 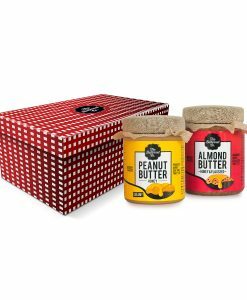 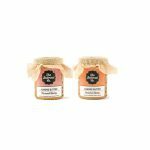 Stiff Brown Paper Gift Box with 2 x 200g jars of nut butter. 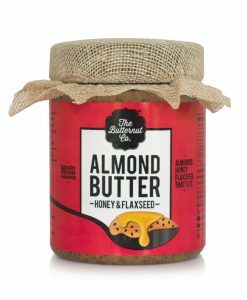 Flaxseed Honey Almond Butter : Dry roasted Almond spread, flaxseeds, honey and sea salt. Cinnamon Honey Almond Butter : Dry roasted Almond spread, cinnamon, honey and sea salt.